Posting may be sporadic during the winter, however I haven’t forgotten my readers. 27 Dec	This entry was published on December 27, 2010 at 12:14 am. 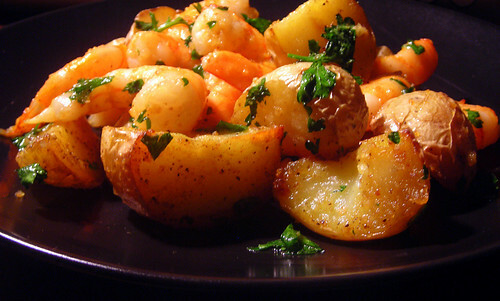 It’s filed under food, Italian food, winter and tagged dinner, food photography, potatoes, shrimp. Bookmark the permalink. Follow any comments here with the RSS feed for this post.